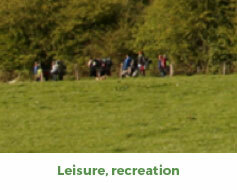 What do ecosystem services refer to? The ecosystem services are defined as goods and services provided by biodiversity and ecosystems, with or without the support of human activity, to improve the welfare of humanity. Cultural services: cultural practice of opportunities permitted by ecosystems: from everyday life or for leisure (walks, hunting or recreational fishing, kayaking, etc), sources of knowledge and experience (scientific research or educational activities, etc) and sources of inspiration and values (natural, artistic inspiration, nature photography, etc). 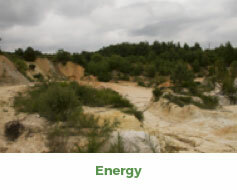 The ecosystem services provided by the quarries and especially by their green infrastructures will be assessed at the beginning and at the end of the project (for phase I sites, the first monitoring of services is expected in year 3). 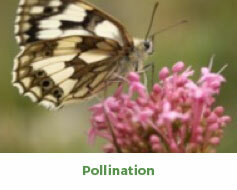 The initial evaluation will guide the development of temporary and permanent nature, to maximise their services. The final evaluation will assess the real impact of these adjustments on the provision of services. 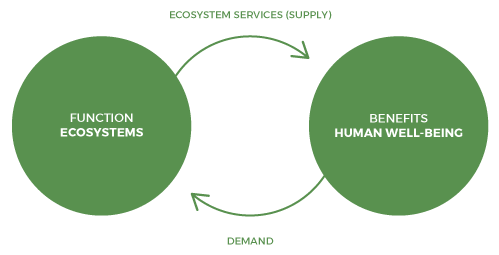 Furthermore, this ecosystem services approach, by wanting to be systemic and holistic, attempts to balance the different individual and collective social, environmental and economic challenges. This approach is complementary to that one involving the conservation of biodiversity by providing a way of interpreting the territory focused on on the actors and the satisfaction of their needs during interactions with contributing ecosystems. 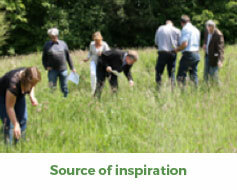 However, this approach may have several derivatives such as the monetisation of nature. This is why the evaluation of ecosystem services will be integrated to take into account the diversity of service-related values. 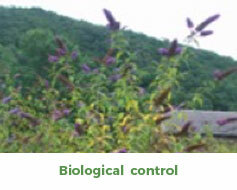 These services will be evaluated by biophysical learning about the offer of the services. However, they will be assessed through participatory methods including all the actors interacting with quarries (farmers, hunters, foresters, hikers, cyclists, residents, etc) to define the perception of these stakeholders vis-à-vis these services and their demand. What does dynamic management mean? 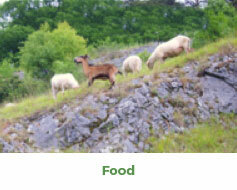 The requirement to integrate biodiversity management measures in quarry plans need to develop new approaches. 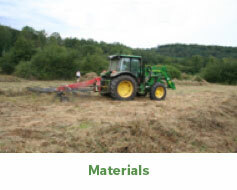 The project is based on a dynamic biodiversity management concept: habitat and species populations present in the quarry or in some areas of the quarry that may be destroyed and/or moved as far as the conditions for their survival can be guaranteed (integration of a network and/or recreation of the environment). 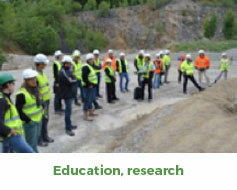 Therefore, the management of protected species is a key part of the LIFE in Quarries project. It is therefore crucial to find solutions for the development of these species, while giving assurance to operators that the presence of these species does not constitute an impediment to the development of their activities. 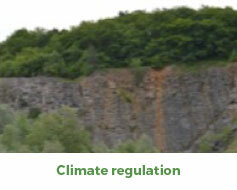 What legislation is applicable to quarries involved in the LIFE project? One of the project task will be to analyse potential legal obstacles to the implementation of concrete actions, such as habitat degradation prohibitions for protected species or the displacement of protected species. In this context, a comparative study of solutions implemented in other European countries (UK, Holland, Germany, France, Switzerland, Austria, etc) will be carried out. These case studies will lead to a series of proposals/prospects applicable in Wallonia. The obligation to request exemptions to the law on nature protection (for the displacement of populations of protected species, for example). Finally, the LIFE in Quarries project aims to promote the adoption of charters between Walloon operators and quarry operators. This objective is based on an existing FEDIEX initiative consisting of promoting the adoption of individual charters of recommendations and good practices in terms of managing protected species in quarries. The charters will be concluded between quarry operators and the Department of Nature and Forests (DNF) in the Walloon region. 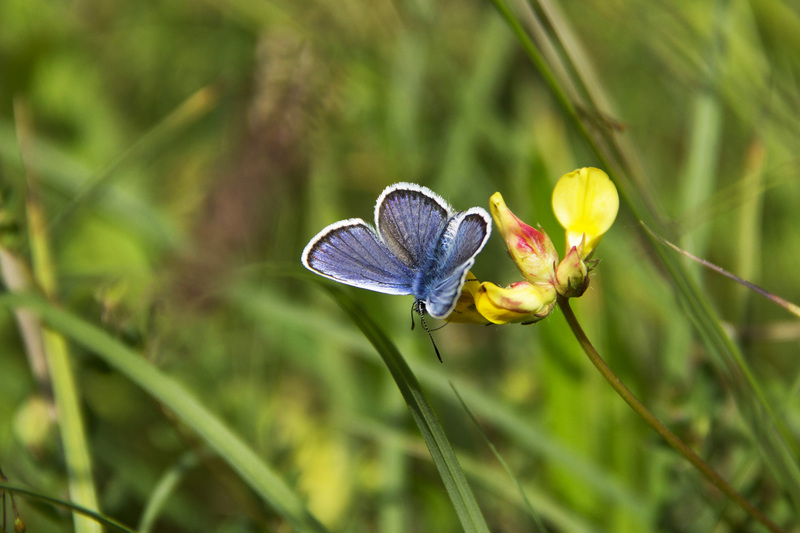 These charters will aim to guarantee the sustainability of the dynamic biodiversity management actions for quarries defined in the context of the LIFE in Quarries project. The signing of a minimum of 18 charters with quarry operators involved is the project target. The project provides support for the drafting of these charters to ensure their legal certainty.